Does God Care How We Dress? I opted to forgo the Christmas cards this year and simply wait to send out birth announcements. However, I know how sad that makes you so here’s a virtual one to hang over your virtual fireplace. 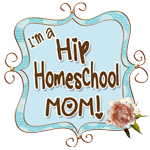 What are the homeschooling resources that helped you?